It’s finally Friday! 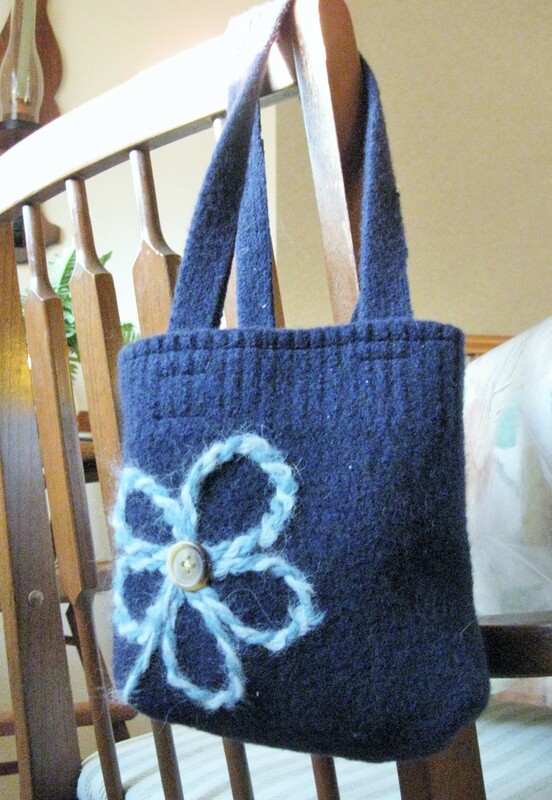 This week’s finished project is a DIY refashioning of an ugly old sweater into a cute felted tote bag. The best part? Because I only used material from the sweater (and a few scrap bits of yarn floating around), the whole think only cost about $2.50 and a half hour of time. Sweet! Anyway, I had picked up a couple of 100% wool sweaters on sale at the ARF thrift store and then proceeded to felt them by throwing them in the washer and dryer a couple of times. Suddenly that extra large cardigan-style sweater was toddler size. I cut it up and made a basic tote with gussets. The handles are from the strip where the buttons were. The flower is needle-punched on using yarn scraps of questionable content (I thought it was wool, but it wasn’t sticking to the felt very well so it probably had a good amount of synthetic fiber too). Oh, and the button is from the sweater, too. Really not a whole lot more to say about it, except that it’s a lot smaller than I envisioned. 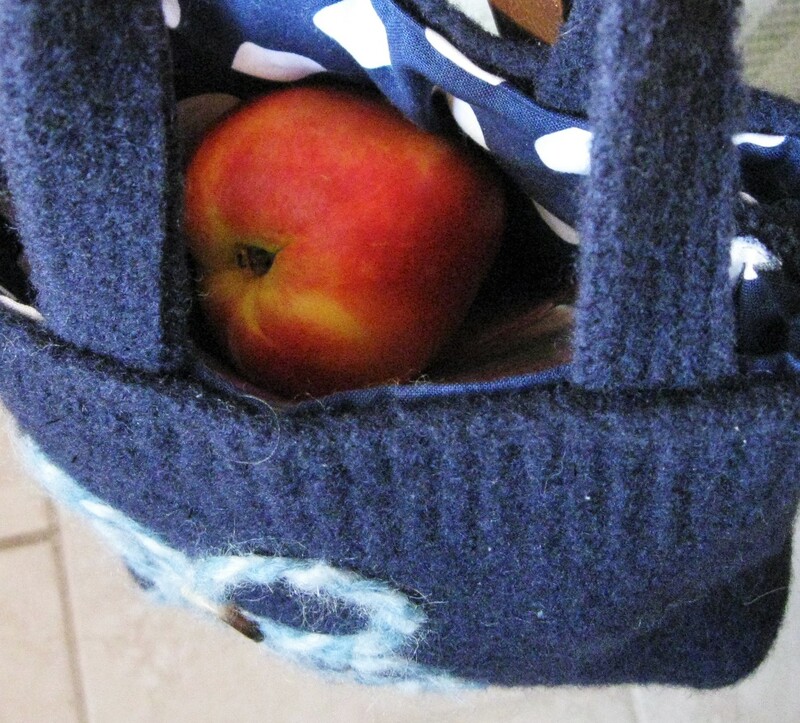 Makes a great lunch bag, though. It turned out more or less exactly how I wanted (just, you know, smaller). I’ll make a few more, for sure. Might ditch the lining as it’s kind of superfluous. Linking up to Finish It Up Friday at Crazy Mom Quilts. Also, would anyone be interested in a tutorial on this? It’s a simple project, but fun. And it’s helpful to know how to cut the sweater to preserve that “cuff” of ribbing along the top.